A 44-year-old East Bay woman arrested on suspicion of assaulting a minor with a deadly weapon at California's Great America Halloween Haunt last week was arraigned Friday. 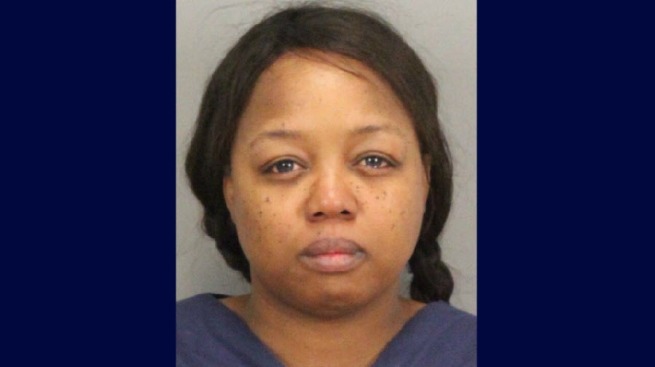 Judge John Garibaldi ruled that East Bay resident Leticia Saxton will be held on $50,000 bail on charges that she assaulted a 16-year-old girl - who got in a physical confrontation with her daughter - with a stun gun at the Santa Clara theme park Saturday. Pre-trial services said prior to the hearing Saxton shouldn't be released without bail due to the nature of the charges against her, but a matrix used to assess inmates and incoming suspects in the Santa Clara County Jail rated Saxton as suitable for release. A defense attorney from the public defender's office for Saxton tried to argue against the pre-trial services ruling, saying that Saxton didn't have a history of not attending court dates and had an older criminal history, which included misdemeanor offenses. In addition, the defense attorney said Saxton is the caretaker of her grandmother, who wasn't present in court due to her condition, however, two other unidentified family members were. Garibaldi, however, explained the case was unique in its facts and denied a release without bail. "If the facts are proven, a defendant is aiding and abetting her daughter in an assault on a teenager," Garibaldi said. The judge also mentioned the assault occurred on a night of multiple issues in the theme park, including numerous assaults that left patrons running for the exits scared. As Saxton's defense attorney tried to make a case for her release, the judge said "I'm just mentioning the facts," as Garibaldi proceeded to explain how the police report states that Saxton allegedly, along with others, kicked and punched the victim. In addition to the assault, Garibaldi said there have been ongoing social media threats being produced by the suspect and other "clients" in the case, but Garibaldi didn't clarify what exactly was said. Two relatives of Saxton declined to comment after her arraignment. It is not clear how Saxton got the stun gun into the theme park. Repeated attempts for comment sent to park spokesman Roger Ross went unreturned and Santa Clara police Lt. Dan Moreno hasn't confirmed how the weapon was brought into the park. Saxton's next court appearance is set for Dec. 7. Moreno said earlier this week that more arrests are expected to be made from crimes that occurred that weekend.